Uses Enriched with a unique blend of antioxidants and vitamins C and E - it's haircolor that improves the healthy look of your hair. Your hair will radiate with rich, natural-looking color and luminescent shine. 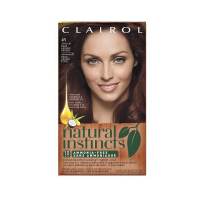 Healthier, truly natural-looking color* with brilliant shine. Natural-looking gray coverage (for up to 50% gray) for color that lasts up to 6 weeks, 28 shampoos. 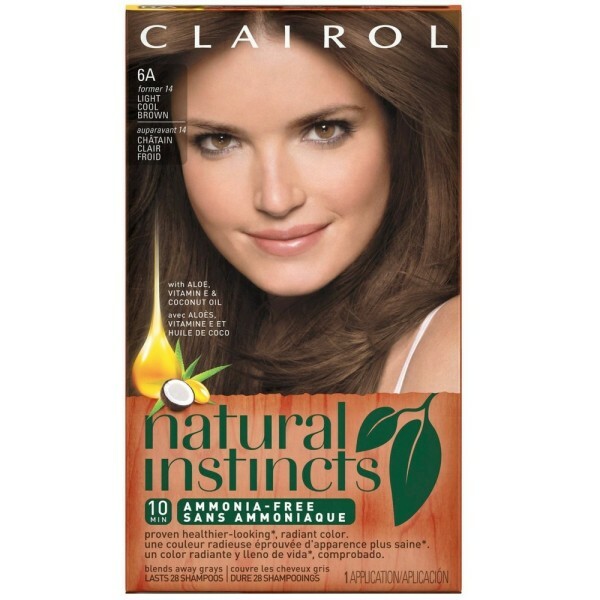 No visible roots A gentle, no ammonia formula that helps protect hair against dryness while you color. Gives you 6 weekly treatments of our nourishing Once A Week Color Treat conditioner for shiny, soft hair. *versus the leading level 3. 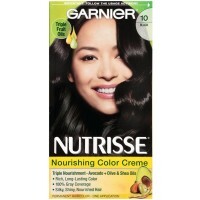 Contains: Color-enhancing colorant; Gentle activating creme; Once A Week Color Treat color conditioning treatment. Warnings HAIRCOLOR PRODUCTS CAN CAUSE ALLERGIC REACTIONS WHICH IN RARE CASES CAN BE SEVERE. TATTOOS MAY INCREASE YOUR RISK OF ALLERGY TO THIS PRODUCT. CONDUCT A SKIN ALLERGY TEST 48 HOURS BEFORE EACH TIME YOU COLOR EVEN IF YOU HAVE ALREADY USED COLORING PRODUCTS BEFORE. SO REMEMBER TO BUY THE PRODUCT 48 HOURS IN ADVANCE. DO NOT USE PRODUCT AT ALL IF:: YOU HAVE ALREADY EXPERIENCED ANY REACTION TO HAIR COLOR PRODUCTS. YOU HAVE SENSITIVE, IRRITATED OR DAMAGED SCALP. In these cases, consult a doctor before dyeing your hair with any haircolor product. READ AND FOLLOW INSTRUCTIONS ON ENCLOSED LEAFLET. In rare cases, use of hair colorants has been associated with skin depigmentation (skin lightening or loss of color). This may be temporary or permanent. If you notice any skin depigmentation or other allergic reactions such as pain or severe itching, discontinue use immediately. THIS PRODUCT CONTAINS INGREDIENTS WHICH MAY CAUSE SKIN IRRITATION ON CERTAIN INDIVIDUALS AND A PRELIMINARY TEST ACCORDING TO ACCOMPANYING DIRECTIONS SHOULD FIRST BE MADE. THIS PRODUCT MUST NOT BE USED FOR DYEING THE EYELASHES OR EYEBROWS; TO DO SO MAY CAUSE BLINDNESS. PRODUCT NOT INTENDED TO BE USED ON CHILDREN. KEEP OUT OF REACH OF CHILDREN.